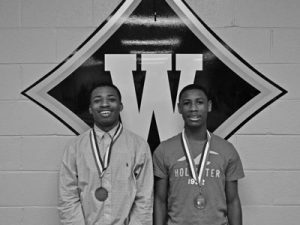 Two of Wardlaw Academy’s basketball players have been selected for the SCISA Class A Region 2 All-Region Team. Ernest Woodward with a season average of 11.5 points per game and 4 rebounds along with Malik Lee with 17.94 poits per game and 5.05 rebounds are pictured above. Malik was also named to the SCISA Class A Region2 All-Tournament Team.